This rental villa located in Vinhomes Riverside Long Bien Hanoi. The Villa has total land area of 354 sqm, composed of a living room combined with dinning area, 3 bedrooms, 3 bathrooms with modern fitting, a well equipped kitchen. This is a stunning villa located in Vinhomes Riverside Long Bien Hanoi. The Villa has total land area of 354 sqm, composed of a living room combined with dinning area, 3 bedrooms, 3 bathrooms with modern fitting, a well equipped kitchen. This beautiful villa has total land area of 300 sqm with 3 floors. On the 1st floor, there is a spacious living room, dining area and a well equipped kitchen. 4 cozily furnished bedrooms and 4 modern bathrooms are located on the 2nd and the 3rd floor. Rental old style French villa, fully furnished in Ngoc Thuy, Long Bien, Hanoi. Total land area is 1000 sqm, designed 3 storeys with private swimming pool, garden in front of the villa. The wall fence is covered by creeper. 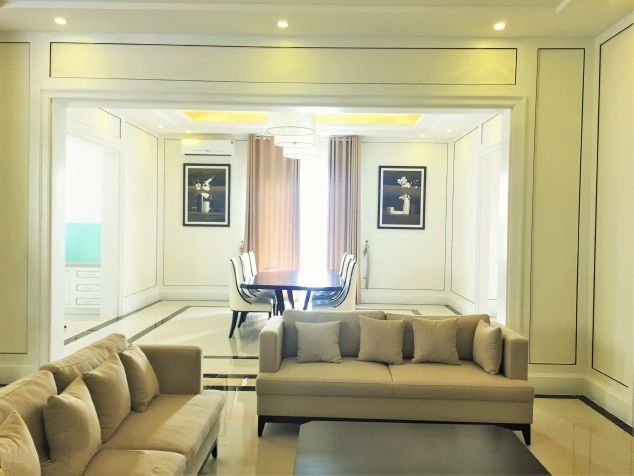 Modern and luxurious villas for rent in Hoa Sua area, Vinhomes riverside, Long Bien, Hanoi. Total construction area is 516 sqm with 3 floors. It is designed European style, with 3 bedrooms, 4 bathrooms, a living room and kitchen. 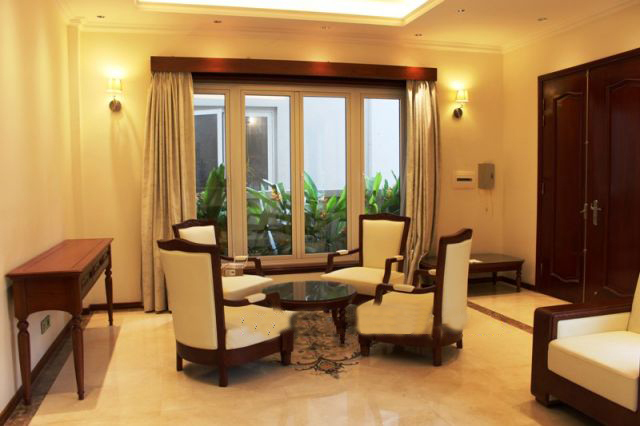 Luxurious villa with 5 bedrooms for rent in Vinhomes Riverside, Long Bien district, Hanoi. Total land area is 300 sqm, living area is 350 sqm with 3 storey.